When performing any type of construction or utility work, there are multiple occasions when one needs an extra bit of elevation to do the job properly. Even being able to reach the work area does not suffice, as one needs to get a clear view of what they’re working on in order to perform the job properly. 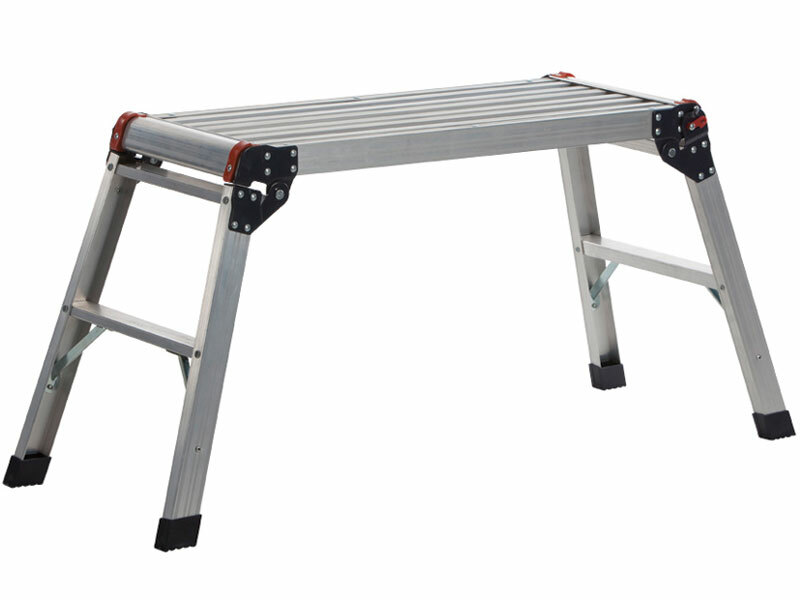 The Handy Work Platform provides a sturdy, reliable, and easy-to-transport boost for any work that needs to be done at a commercial or residential facility. What is The Purpose of The Handy Work Platform? Every job is different, but sometimes a bit of extra height can come in handy. While nearly everyone has a ladder in their garage or on their utility truck, these large units are often too bulky and hard to transport. This makes them ineffective for smaller jobs. Homemade solutions can often be unstable and pose a hazard to whoever is standing on them. 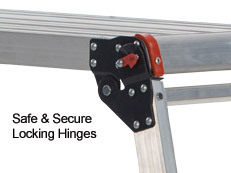 This product combines the sturdy boost provided by a larger ladder with the compact nature of tools that are easy to move from one location to the next. This product is valuable in both residential and commercial facilities. Whether the user needs more elevation in order to paint, apply wallpaper, or repair drywall, this product can be of great use. It can also come in handy outside for a variety of purposes. The unique “hop up” design makes it easy to store in closets or under the bed, while the locking hinges provide added security for prolonged use. This product can prove very valuable for multiple types of utility and repair companies. From painters to decorators to construction workers, nearly everyone can make use of this compact and sturdy product at some point. In addition, those who enjoy performing DIY fixes at their home or business can make use of this reliable and easy-to-use item. 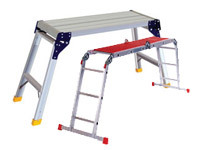 With its wide and deep non-slip platform, it serves as a stable platform that can be used by those who are not fond of using wobbly wooden step ladders or boxes to stand on. Deliverable in 5-7 working days, this product comes with a one year warranty and we will match any price. 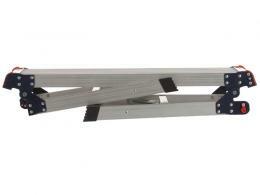 While this product is very useful, returns are quick and easy. With the Handy Work Platform, getting a better vantage point to perform repairs and maintenance work has never been easier.